The Gold King Mine exposed adit, which is about 10 feet wide and 15 feet high. The contaminated water flowed from the adit on Aug. 5. DENVER – The Environmental Protection Agency has formally proposed a Superfund listing in San Juan County. The recommendation will be published in the Federal Register on Thursday, which sets off a 60-day public comment period before the rule can be finalized. The proposal calls for adding eight new sites to the National Priorities List, including Bonita Peak Mining District in San Juan County. The EPA recommended the site after Gov. John Hickenlooper sent a letter to federal officials in February backing the designation, which would inject large amounts of federal dollars into permanent restoration efforts. The action came in the wake of the Aug. 5 Gold King Mine spill. Hickenlooper sent the letter to the EPA after Silverton and San Juan County expressed support for the listing. The listing would impact as many as 50 mining-related sites in the Gladstone area that have contaminated the Upper Animas, Mineral Creek and Cement Creek for more than a century. Restoration efforts would likely include a permanent water-treatment facility, as well as long-term water quality monitoring. In the meantime, state officials are working on a spring runoff monitoring plan, and the EPA is working on a one-year monitoring plan. 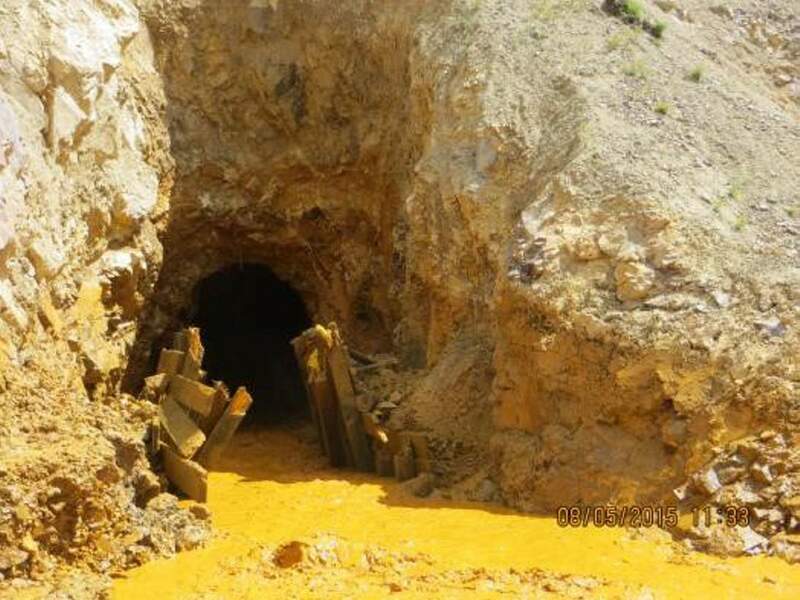 The issue gained momentum following the Gold King Mine spill, north of Silverton, when an estimated 3 million gallons of toxic mining sludge poured into the Animas River after an error by the EPA during excavation at the mine. The EPA was attempting to restore the inactive draining mine, but instead caused a blowout. The Animas tested for initial spikes in heavy metals following the spill, including arsenic, cadmium, copper, lead and mercury, to name a few. Local leaders in Silverton and San Juan County went through a sort of evolution on the subject, having been opposed to the Superfund listing for many years. Locals feared that a listing would leave a permanent black eye on the tourist-driven community. But after the August spill, leaders renewed discussions, which led to support. Local officials, however, vow to closely watch the process, which could last for many years. They want a voice at the table and to ensure that boundaries of the proposed Superfund site don’t expand. Some also worry about blocking access to the backcountry. Meanwhile, U.S. Sen. John McCain, R-Ariz., on Wednesday called on the Senate Indian Affairs Committee to subpoena EPA Administrator Gina McCarthy to appear at an April 22 field hearing in Arizona. McCain said the agency declined to send a representative to appear at the hearing, which will focus on the Gold King Mine spill. It’s not the first time Congress has pushed subpoenas stemming from the disaster. Conflicting reports have cast shadows over the conversation, resulting in the House Committee on Natural Resources issuing subpoenas to Interior Secretary Sally Jewell and Lt. Gen. Thomas Bostick, with the Army Corps of Engineers. Also on Wednesday, Hickenlooper renewed his support for Congress to pass good Samaritan legislation, which would ease liability concerns for government and private entities to restore draining mines. And the state Legislature advanced a bill that would allow the state to use emergency response funds for hazardous conditions at a legacy hard-rock mine site that is a danger to the public. Currently, the state can use those funds only at mining sites subject to the state’s regulatory authority, so the bill would expand the state’s authority. House Bill 1276 passed the House Agriculture, Livestock and Natural Resources Committee unanimously without any conversation. It now heads to the full House for approval.